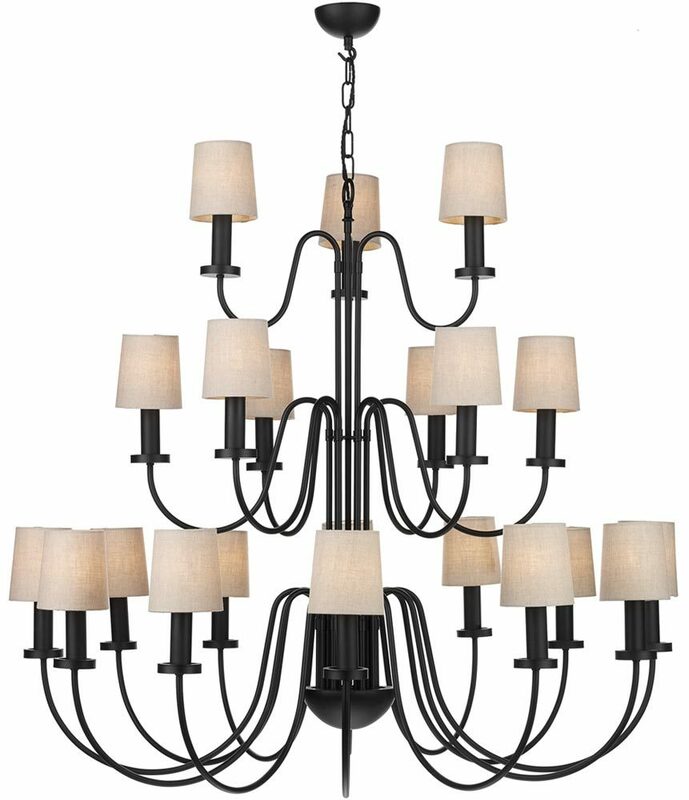 This David Hunt Pigalle 21 light very large matt black chandelier is majestic and supplied with linen clip-on shades in a choice of colours. 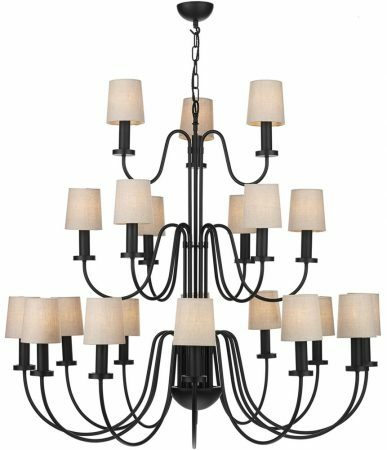 A grand hand crafted 1.2 meter tall metal chandelier finished in matt black, with twenty-one upward sweeping lamp support arms set over three tiers. Matching reproduction candle drips and complementing gloss white candle tubes each topped with a tapered linen shade completes the elegant design. This traditional ceiling light harks back to the Georgian era and will complement any classic or traditional setting. Stylish and unfussy, this chandelier is the ideal choice for a larger entrance hall, living room or dining room. Height adjustable at the time of fitting and can be ordered with any chain length if required. Please see the technical information below for dimensions. There are matching fittings in the David Hunt Lighting Pigalle range can be viewed below and include a smaller nine lamp chandelier and matching wall light. Please note: Due to the size and complexity of this chandelier it is crafted to order, with an extended delivery time of 2 to 4 weeks. 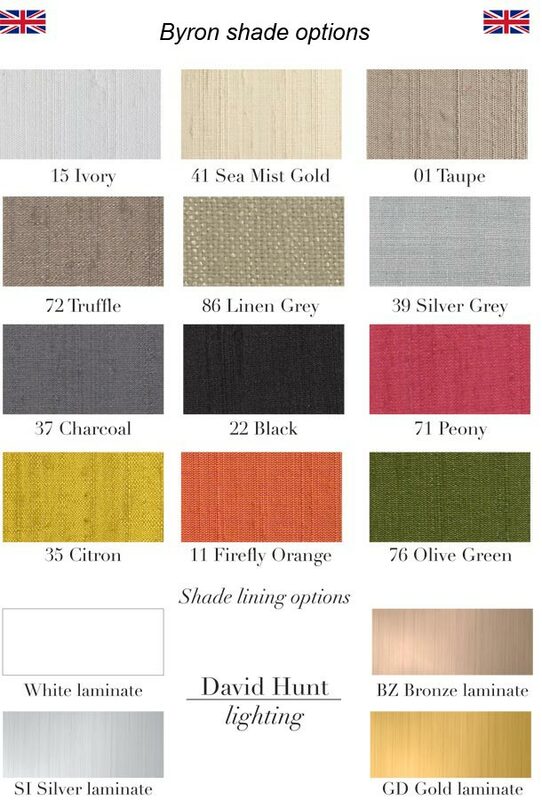 The Pigalle 21 light is supplied fully assembled and will be shipped to you on a full size pallet. This classic ceiling light is designed and handmade in Britain by David Hunt Lighting who are well known for the design and manufacture of original hand crafted products such as the Pigalle 21 light very large matt black chandelier you see here.